On 5-6 October 2017, global leaders were invited in Malta to commit to new actions to ensure sustainable fisheries, to mitigate climate change impacts, to announce new marine protected areas and to fight marine pollution in the framework of the ‘Our Ocean’ conference. Healthy Seas and its partners were organizing various side events in Malta, linked to this important global event, including a sea clean-up action by volunteer divers at Marine Protected Areas. Within only three days, the divers collected over 500 kgs of lost fishing gear, thus made the seas around Malta a bit cleaner and safer place for marine animals to live. 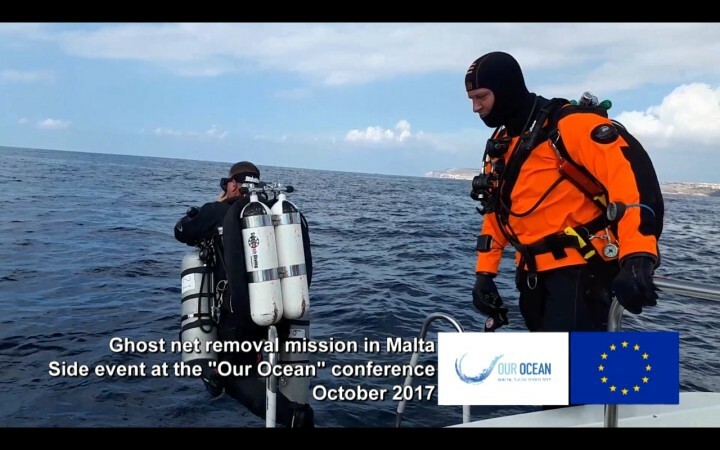 Share the post "VIDEO: Ghost net removal mission in Malta, October 2017"